Building a wooden can be a bit of challenge. But for the most part, it’s simple if you have a good plan, permitting, and framing and time to execute. 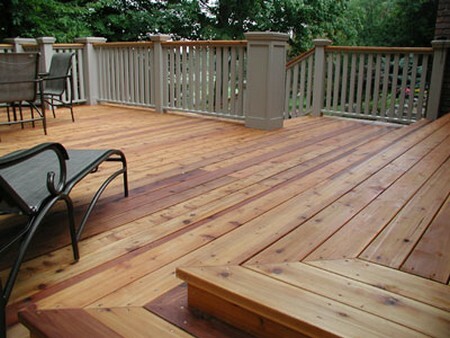 Here is how you can on construct a wooden deck. Check your city zoning requirements. Some ordinances will call for set backs, or even no build zones for any side of a property. Set backs will limit the area that you can build your deck in. And see if you need a building permit to get started. 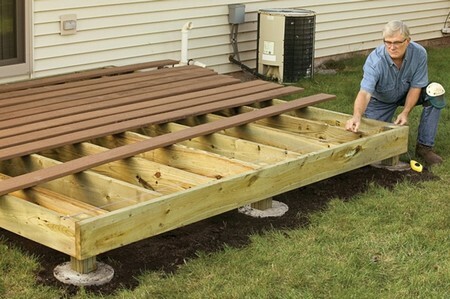 Determine where you will construct your new deck. Make sure the water drains well from that area. Draw a plan of the new wodden deck.Start with the dimensions and the location. Add more details as you move along. Determine the foundation. Support your deck with 4 x 4 treated lumber and galvanized post anchors set in 8 to 10 inch diameter concrete footings. Keep your joist span below 10 feet and be sure your foundation is lower than the frost line in your area. Prepare the framing plan and foundation. The details of the foundation and the railing and step dimensions should be set out here. This will show your project meets setback demands. Begin my making a rectangle shaped grid. Use batter boards and strings to construct this step. Measure well along the lines and diagonally to ensure everything is aligned. Use lag bolts to join foundation wall and the ledger board. The thickness and slope of your deck should be considered. Remove debris from the area. Place a black plastic over the area. Secure it with rocks. Put the footings down to the assigned depth with a hole digger. Pour in the concrete mix. Place the post anchors on top before the cement dries. Make sure things are plumb. Put the 4×4 treated posts into the post anchors. Bolt a 2 x8 joist to the 4×4 postings. The joist hangers need to be spaced 16 inches apart inside the rectangle. Set the joists into the joist hangars with galvanized nails. Install 2×8 blocking in the middle of all joists. Use a 2×2 ledger or toenail attachment to put the stair stringers on the side of the framing. Install and lag the railing verticals. The decking goes perpendicular to the joists. Space them 1/8 inch apart. Use a line level and shims to make a slope of 1/8-inch per foot for proper draining. Trim the areas that were hanging over with a circle saw. Place trim boards around the perimeter of the deck for a finished look.